Give Yourself a Raise, Momma! Do you ever have those days when you wonder why your wallet is so heavy, and then you open it up, and fifty-seven unused gift cards fall out? You look at them and think, "I will never use this one!" Or, maybe you're gearing up for a new shopping spree, but don't have a ton of cash-money to spend on yourself? We're so excited to be part of a new campaign with Raise.com--what's Raise.com? Well, only the solution to these problems! 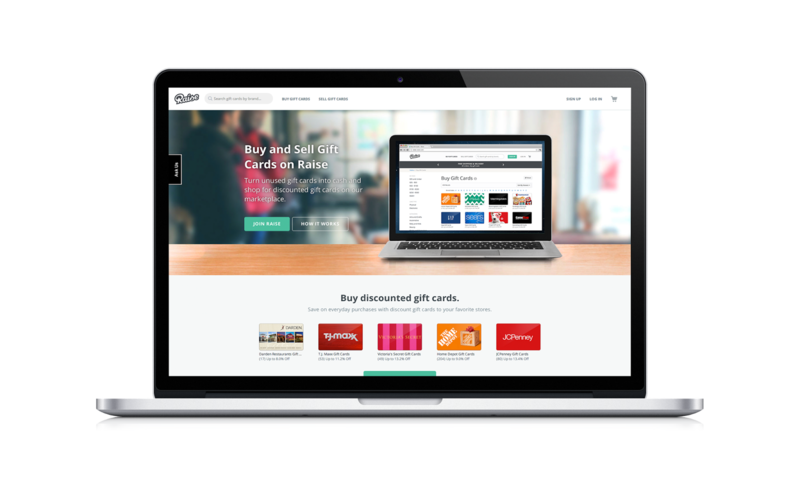 Simply put, "Raise is an awesome new marketplace to buy and sell gift cards on the web! With the extra money you can save on discount gift cards to your favorite brands, you can spend more on the things you love." Raise is simple to use (just upload your unused gift cards, chose the selling price, and when someone buys the card, you send it...and you make money!). Shopping instead? Browse their marketplace for discounted gift cards to your favorite places! Their new campaign focuses on the idea of indulgence! With that extra money you have from saving on gift cards, or selling your gift cards, you can spend a little more on making your life...more lovely. Who knows more about indulging yourself than a new momma? So, today I'm sharing with you my little indulgences. Where do I spend the money that I save by buying and selling gift cards? 1. Sometimes after I drop my son in the morning, if the time, traffic, and day is right, I turn on that right blinker, veer my car over, park on the street and head to Starbucks for a large, large coffee. Black. Now, I get coffee at school everyday, free...but, there's something amazing about being part of the world, standing in line, and sipping my coffee (while listening to NPR), while driving to school! This simple little $2.44 indulgence makes me feel human again! 2. H&M shoes. Flats, in particular. I have a problem with them! I have two pairs in black, a pair in brown, a pair in beige, and I just bought the nautical ones (above--wore and love them!). They're a small indulgence ($12.95 a pair, and they're often on sale!) but they are practical and cute--I just can't pass up on them! They make me feel pulled together, in style, and able to carry around a 7 month old! 3. Almond Butter! Yes, I know...boring! But! This almond butter is my favorite and is $12 a jar! I have a spoon of it every night after putting Weston to bed, and it's like my little meditative moment of the day. These three indulgences may seem small, but make me feel like...me. And, as we know, there's little time for momma when there's jobs to go to, houses to clean, dishes to do, bottles to wash, and a baby to giggle with. So, Raise a glass and share: what are the small indulgences which make you happy? I'm still carrying around an Express gift card from the late 1990s in my purse:) Will check out Raise and those H&M shoes are very cute - going to check out H&M shoes too!